There is a cap on noneconomic damages -- usually pain and suffering -- in Maryland. In 2019, the non-economic damages cap for injuries and wrongful death case in Maryland is $860,000. So if the victim is not killed, the maximum recovery for pain and suffering is $860,000. The cap increases to $1,290,500 in wrongful death cases if there are two or more wrongful death beneficiaries. The survival action cap is also $860,000. A survival action is another claim that can be brought when someone is negligently killed in Maryland. Accordingly, the maximum recovery for non-economic pain and suffering damages in a wrongful death case is $2,150,000. The cap will increase slightly on October 1, 2019. In Maryland, we have two separate damage caps. There is one cap for medical malpractice and nursing home lawsuits, which you can find here. Like Maryland, most states have imposed a cap on the amount of pain and suffering damages that plaintiffs can recover in a lawsuit. Jurors are not told there is a cap on malpractice damages and often decide a case without ever being told that the damages they believed appropriate were reduced by state law. The first column is the pain and suffering cap in both fatality and injury death cases. So, for example, in an action for damages for personal injury or death in a non-medical malpractice case, the damages cap for pain and suffering damages is $830,000 for causes of action arising between October 1, 2016, and October 1, 2017. The second column is the combined wrongful death maximum if there are two or more wrongful death beneficiaries. The third column is the combined number when you add in a survival action (which is explained here). Why do we bother to list the Maryland cap numbers for injuries that occurred back in the '90s? Two reasons: (1) Under the discovery rule, the statute of limitations may be tolled until plaintiffs know or have reason to know that they have been injured; and, more importantly, (2) minors have additional time to bring a lawsuit in Maryland. This is the cap for pain and suffering damages in non-medical error cases. Raise your hand if you are a little bit lost in these numbers. They are confusing. The Maryland General Assembly chose to establish a “double-cap” in survival and wrongful death claims and allow for a "cap-and-a-half" if there are two or more wrongful death claimants. (The double cap was eliminated from malpractice claims in 2005.) Accordingly, there are two different calculations, one for survivor lawsuits and the other for wrongful death claims, but the recovery is limited to the noneconomic damages by multiple wrongful death claimants to 150% of the cap, even if there are more than two wrongful death beneficiaries. Why Do We Have This Law? The short answer to this question is that insurance companies and hospitals have better lobbyists than victims and plaintiffs' lawyers. The worst thing is that these caps have the greatest impact on those who deserve the full measure of the jury's verdict the most. Children who lose their parents and people that are severely brain damaged or paralyzed sometimes receive the same amount of money in pain and suffering damages as someone who eventually had a full recovery. It makes no sense. In 2017, a bill was proposed in the Maryland House of Delegates that would have tripled the pain and suffering cap in wrongful death or catastrophic injury cases. This bill would have increased the damage cap to $2.2 million in 2014 and increased the wrongful death cap with two or more survivors to $2.8 million. This would have been a significant step forward. But the bill stalled in committee. Hearings on this same bill are proceeding in 2018 with one of Miller & Zois' clients (whose family was awarded $10 million) expected to testify before Maryland legislator. Hopefully, we can find a path to a law that is fair and just. If you are a lawyer or a victim and have questions about the cap or your case, give us a call. We will be glad to explain this maze to you. 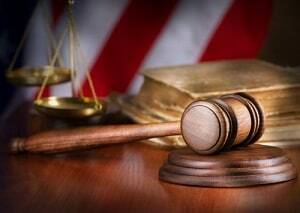 You can reach one of our lawyers at 800-553-8082 or contact us online. 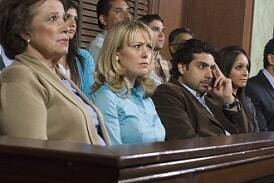 What Are Pain and Suffering Damages and how do juries decide how much to award a plaintiff?